Can Honey & Cinnamon Help With Digestive Upset? Approximately 11.5 liters of digested food, liquids and digestive juices flow through your digestive system each day, according to Oracle ThinkQuest Education Foundation. It's no wonder that everyone occasionally suffers from indigestion, a group of symptoms resulting when digestion has not proceeded normally. 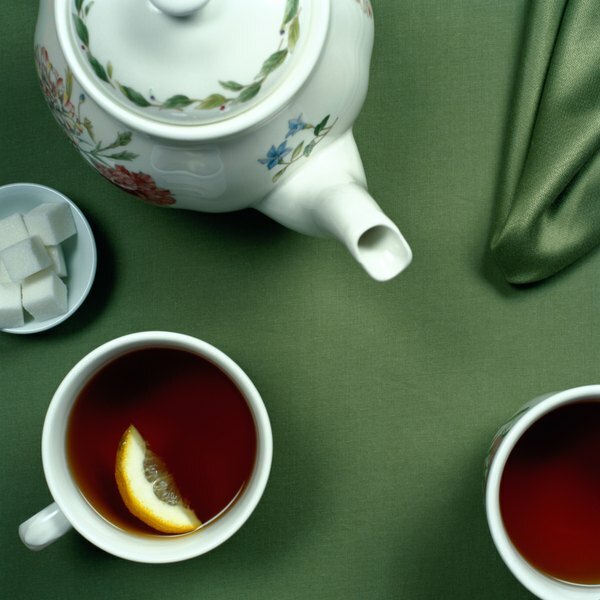 While proper eating and a program of exercise and stress relief can ease mild indigestion, practitioners of alternative medicine claim that drinking honey and cinnamon tea after meals may help quell certain symptoms. Burping, belching, bloating, nausea, flatulence and abdominal pressure are all symptoms of indigestion. According to MayoClinic.com., indigestion, or dyspepsia, is a collection of symptoms that can result from digestive disorders, stress or after eating or drinking. Drugs, especially aspirin and ibuprofen, can affect your stomach, as well as illnesses such as colorectal or stomach cancer, gallstones, hepatitis, irritable bowel syndrome and pancreatitis. Simple indigestion occurs only after eating and often causes gas and a dull pain commonly felt above your naval. Chronic indigestion characterized by sharp pain should always be diagnosed by your physician. Honey is a complex mixture of the sugars glucose and fructose, with smaller amounts of water, plant pigments, organic acids and mineral and vitamin traces. The sweet fluid produced by bees from the nectar of flowers has a lengthy history as a delicious food, flavoring, antiseptic or tonic for overall good health. According to the University of California, fossil records indicate that honey bees existed 35 million years ago. Later, the ancient Greeks used honey topically to heal wounds and ulcers of the lip, while Romans used honey orally as a remedy for constipation, diarrhea and upset stomach. Cinnamon, a tropical evergreen tree, grows in southwestern India, Sri Lanka and the Philippines. It reaches heights of 40 feet and bears ovate leaves, greenish flowers and small, dark purple fruit. Its soft, reddish-brown bark has a long history of culinary and therapeutic uses, including treatment for colds, flu and digestive disorders such as stomach upset, nausea and flatulence. Combined in tea form, proponents of herbal medicine claim that honey and cinnamon appear to be formidable when it comes to indigestion, quelling flatulence and inhibiting bloating and abdominal pain. Phyllis A. Balch, certified nutritional consultant and author of the book "Prescription for Herbal Healing," says that cinnamon provides an antispasmodic and carminative effect, preventing gas in your gastrointestinal tract or facilitating the expulsion of gas. Balch also claims that cinnamon acts to ease indigestion by blocking the production of body chemicals that lead to inflammation. According to Dr. Norman Shealy, founder of the American Holistic Medicine Association and author of the book "Healing Remedies," honey not only contains antioxidant properties that may ease anxiety-induced indigestion, but it also contains enzymes that aid digestion and assimilation. Additionally, Shealy says that honey's potassium content helps to balance acid accumulations in your body. To prepare a tea, add 2 tsp. of cinnamon powder and 1 tsp. of honey to boiling water.